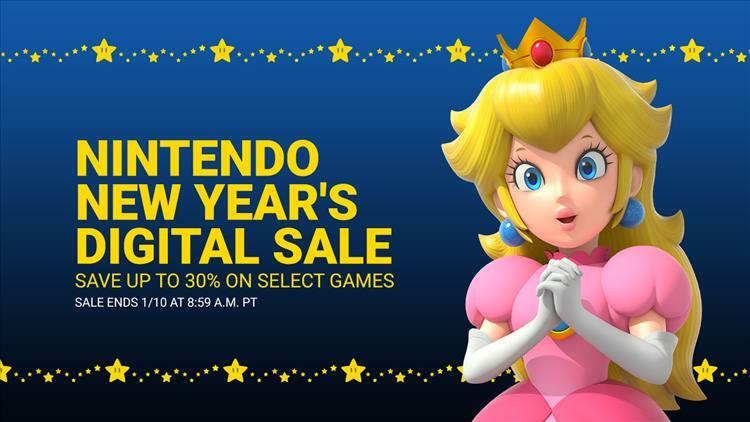 If your bank account isn't pleading for mercy after the Steam and GOG holiday sales, the Nintendo eShop is hosting a pretty massive New Year's sale right now. This includes games like Mario Kart 8 Deluxe, ARMS, Hyrule Warriors Definitive Edition and Octopath Traveler at 30% off, and even steeper discounts like Starlink: Battle for Atlas and Lego DC Super-Villains at 50% off. Some of these games are also discounted at retail stores like Gamestop, Best Buy and Walmart, starting today. You can check out the full list of discounts across both the Switch and 3DS platforms in the press release after the jump. REDMOND, Wash.--(BUSINESS WIRE)--If one of your New Year’s resolutions is saving money on amazing games, you’re in luck! Starting today and running until 8:59 a.m. PT on Jan. 10, Nintendo is offering discounts on the digital versions of many games for both the Nintendo Switch system and the Nintendo 3DS family of systems. For more information about Nintendo Switch, visit https://www.nintendo.com/switch/. For more information about Nintendo 3DS, visit https://www.nintendo.com/3ds/.